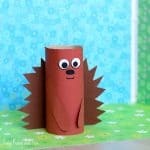 Time for another hedgehog craft idea! 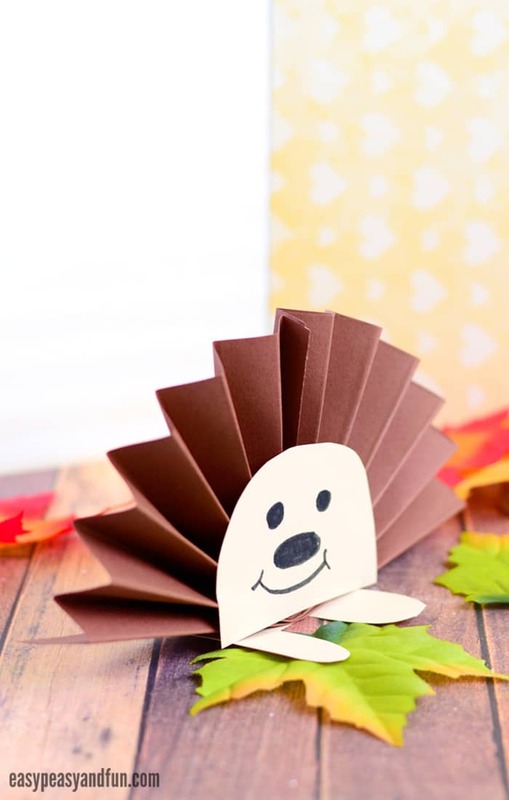 This time we are making a paper rosette hedgehog craft (well half the rosette) and it really couldn’t have been a cuter one. Fall is one of my favorite seasons! 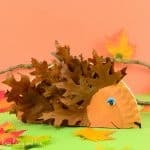 It’s not too cold and it’s not to warm… And there are also hedgehogs! 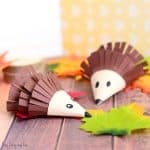 I do have a slight obsession (a healthy one, adoring them from a far and letting them be) with hedgehogs and naturally this results in me being a bit hedgehog craft obsessed (if you browse around the website you will notice quite a few hedgehog craft ideas for kids and kids at heart). 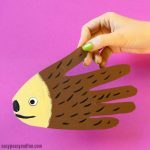 Now this one is super adorable on it’s own but you can make it even cuter by adding an paper apple or an pear on it’s back (not that they actually care them on their back but you know, cute). Ready to make one or ten? 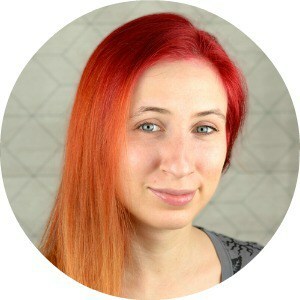 Let’s make them! 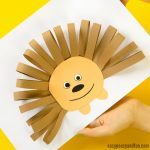 This is a super simple paper craft for kids. 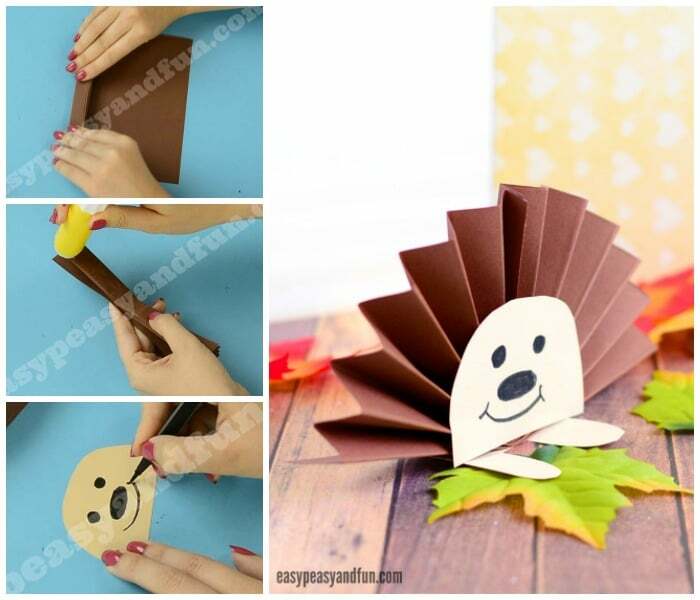 Cut the sheet of paper in half. 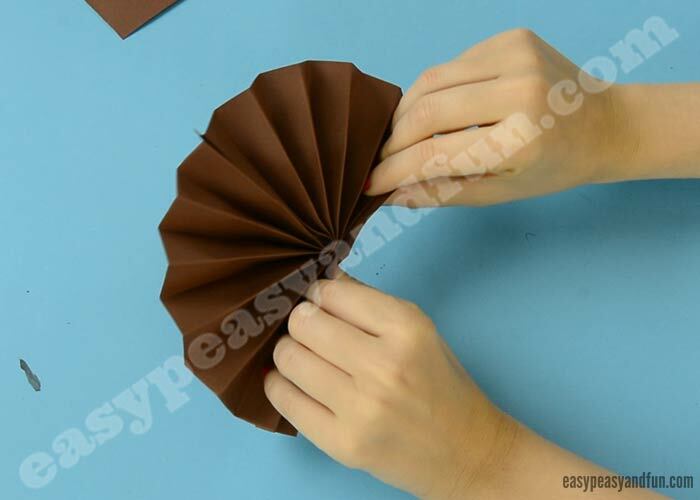 Start folding it – accordion style – from one end to the other. When you come all the way to the other side, fold in half. Press together for the glue to really set. 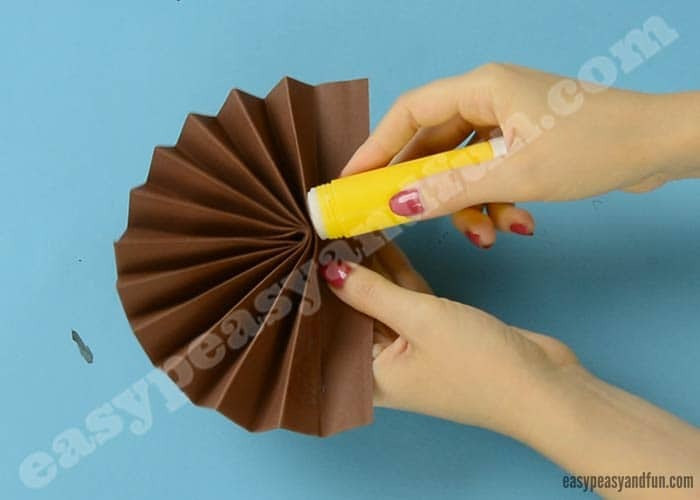 You might need to glue together the last fold. 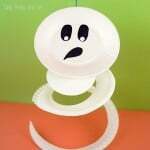 Cut a half circle from beige paper. Draw on the facial details. 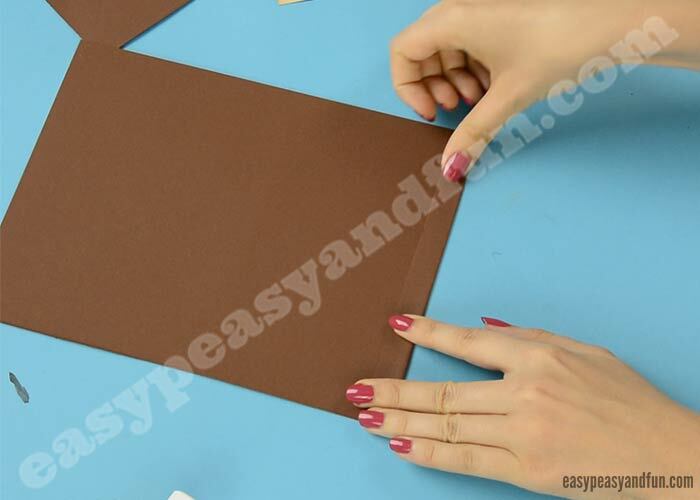 Apply a generous amount of glue on the back side. Press on the half rosette. Allow the glue to set. 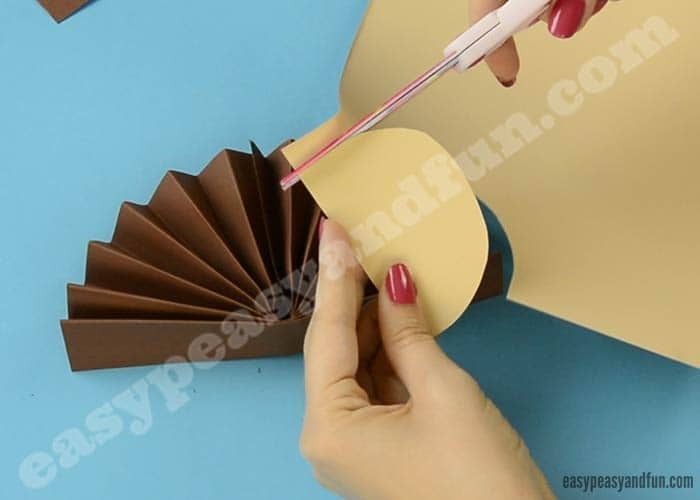 Cut legs from beige paper and glue them on the bottom of the rosette. 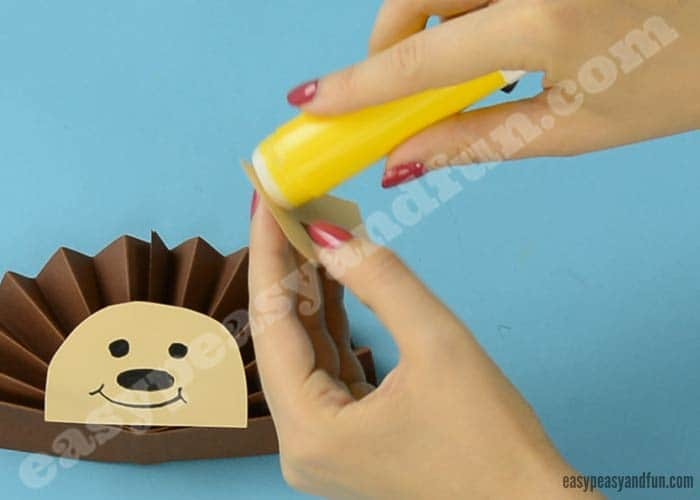 Let the glue dry. 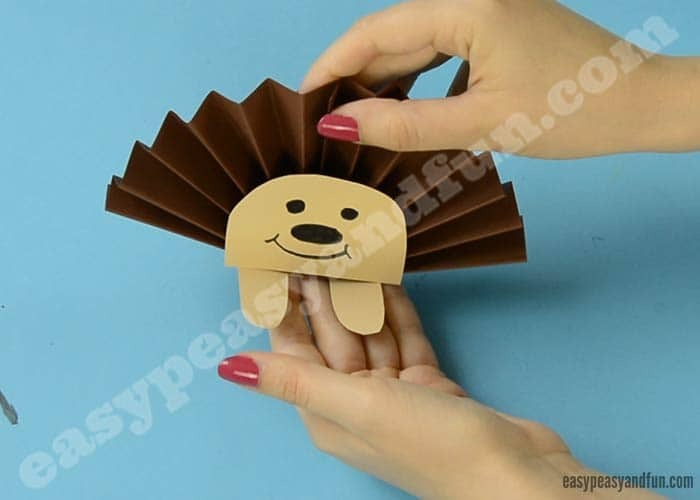 This will make it easier for your Paper Rosette Hedgehog to stand on it’s own. Isn’t he cute? 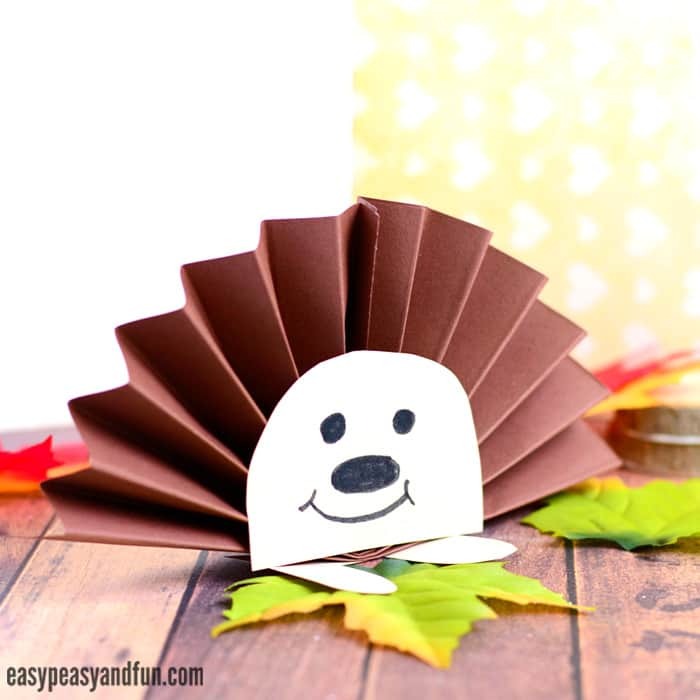 Such a wonderful fall themed paper craft for kids to make!